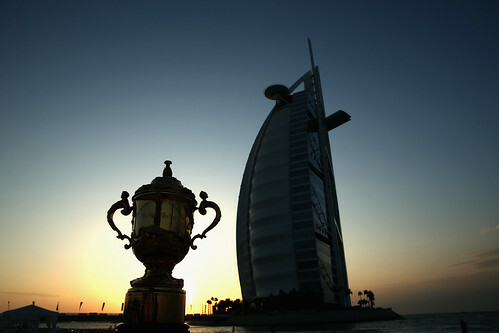 Rosh was up in the early hours of morning watching Rugby World Cup 2015 final on TV. “Will they win?” Isha had asked him yesterday. Australia had beaten New Zealand by 7 wickets at the ICC Cricket World Cup 2015 earlier in the year. And like the rest of New Zealand, Rosh hadn’t taken the defeat well. “Still carrying a grudge?” Isha rolled up her eyes at his animated reaction. In 2011, the All Blacks had asked New Zealand to dream big. NZ hadn’t dared. But the All Blacks had delivered more than just the cup. Their 2011 win against France in the final gave the tiny nation of 4.4 million people, new heroes and new role models - to look up to and imitate. It hadn’t been easy, as the 2011 event had been expected to cost New Zealand about NZ$310 million to run. Then an earthquake had caused widespread damage across Christchurch, New Zealand's second-most populous city, killing 185 people and stripping Christchurch of its seven Rugby World Cup matches due to stadium damage. It had been the young nation's second deadliest natural disaster. In Auckland alone, which consequently had to host many important games, the costs to the local ratepayers had risen over a $100 million. But it became the largest sporting event ever held in New Zealand, eclipsing the 1987 Rugby World Cup, 1990 Commonwealth Games,1992 Cricket World Cup and the 2003 America's Cup. Ticket sales exceeded NZ$285 million. Accommodation-related spending of another NZ$260 million and NZ$236 million spent on food and drink provided a much needed boost to our earthquake-damaged economy and GDP. Rosh sighed. He remembered how he had known nothing about rugby when he had first migrated to New Zealand over two decades ago. His children had taught him the basics. The first rugby nation to win 400 Test matches, and with a 75%+ win rate over 500+ Tests during the last century (1903-2014), the All Blacks were regarded as the most successful international rugby team of all-time and one of the most prolific teams across any sport. Current Rugby World Cup champion after their 2011 win, they had also won 10 out of the 16 Tri-Nations trophies, all three of The Rugby Championships to date, and had held the Bledisloe Cup for 12 years running (2003-2014) after their first inaugural Webb Ellis Cup win in 1987. The side’s success overseas was also spectacular, winning four of nine attempted touring Grand Slams in 1978, 2005, 2008 and 2010 – while being victorious in 190 of 271 Test matches on foreign soil. World Rugby had introduced a rankings system in 2003. Since then, the All Blacks had ranked number one for over 80% of the time, had claimed World Rugby’s Team of the Year eight times in the last ten years, and by late 2014, had been the top ranked team for over five years in a row. It looked like New Zealand was going to win again today. We had been leading Australia 16-3 at half time thanks to a concerted team play and some dazzling kicking displayed by Dan Carter. Four years ago, in 2011, Dan Carter had missed the once-in-a-lifetime opportunity to play in a home World Cup final due to injury. All Blacks had won that final 8-7 against France in Auckland. Four years earlier, in 2007, his hopes of winning a World Cup had been smashed by the All Blacks’ shock defeat by France in the Cardiff quarter-final. Yet, overcoming some serious injuries over the years, brave Dan was back in the side again with an unwavering commitment to the cause. He had dared to dream. He had persisted. And he had survived. Now fortune seemed to favor the brave. So, dreaming was good. Dreaming big was even better. But dreaming alone, got one nowhere. If wishes were horses, beggars would ride. Dreams had to be reinforced with dedicated effort and detailed planning. Like Ritchie McCaw, the man who was going to go down in history as the only two-time Rugby World Cup winning captain if All Blacks pulled it off today, Rosh didn’t believe in magic. He believed in hard work. And hard work the All Blacks had done. They deserved to win. There were five guys in this side who had played over a 100 Tests, yet they had gone about their business throughout the tournament with quiet confidence and humility, having competed hard earlier to keep their place in the national side. Most observers had predicted a Kiwi win before the match, but wins are never that simple. And so it was proving to be in this pulsating final, probably the best of all the eight finals so far. “Lae ja Nonu (Take it away, Nonu)”, Rosh yelled at the TV, at the top of his lungs. His shout scared the birds who were waiting on the deck outside, to get their morning feed. Nonu couldn’t hear Rosh, but there was no doubt that he was trying to do exactly that. Defenders swooped down on him from three sides, finally bringing him down. But it was too late. He had produced a marvelous try. NZ 21-3, 30 mins to go. It looked like game, set and match to NZ now. Then the defiant Wallabies struck back. A mesmerized Twickenham Stadium witnessed their inspired comeback. Pocock and Kuridrani scored tries in quick succession with Foley converting both times. NZ 21-17, with 15 or so minutes to go. It was anybody's game now. Then Carter, the 33-year old fly-half who had waited a long time to play in a Rugby World Cup final despite three earlier attempts, sealed the deal. He landed a superb long range drop-goal and then a master class 50 meter penalty, his longest kick throughout the whole World Cup campaign. By the time the curtain came down a few minutes later, he had produced a man of the match display with 19 points to his name, more than half the Kiwi total, and made 12 tackles, more than any other New Zealander. What a way to depart from his first final but his last test. Kiwi fans across the world went berserk. New Zealand had made history with their stunning 34-17 win against Australia, becoming world champions for the third time, as well as the first side ever to retain this trophy. The back to back World Cup wins by the All Blacks would be talked about and remembered for decades, unless of course, they could beat their own record and produce a hat-trick in 2019.